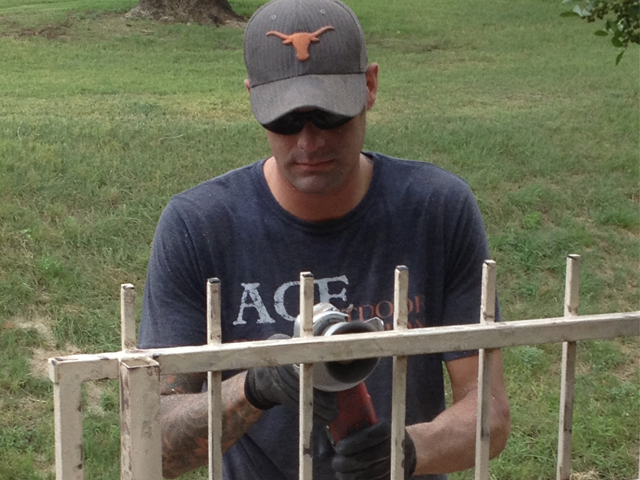 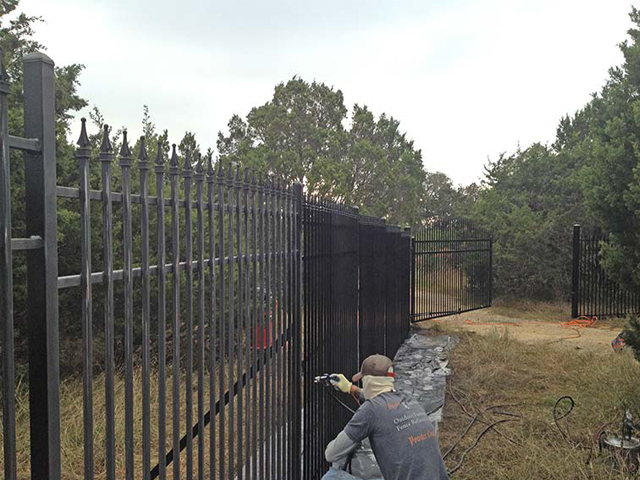 Ace Outdoor Restoration offers an on-site metal fence refinishing service to fix your wrought iron or aluminum fence and gates that have been weathered by the harsh Texas sun. 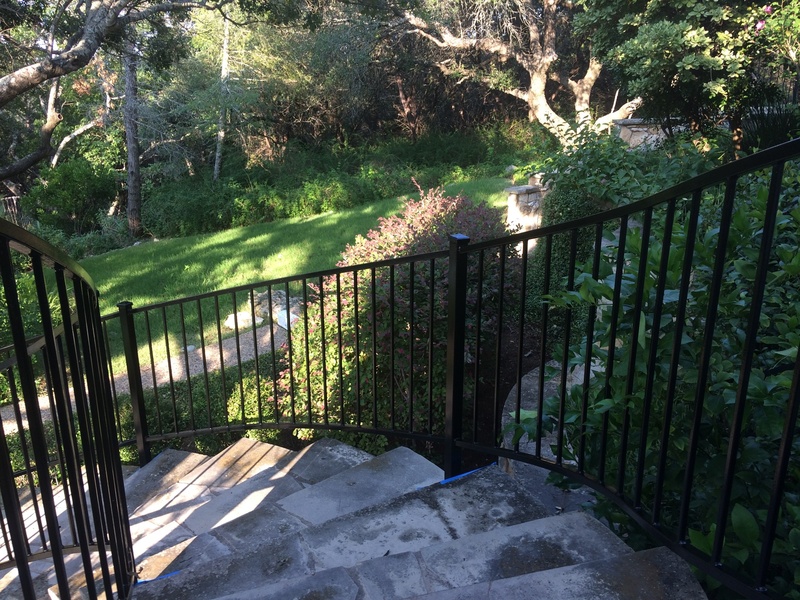 We sand and feather down any peeling or rust, clean off dirt, and apply either a two-coat (primer and topcoat) or one-coat system. 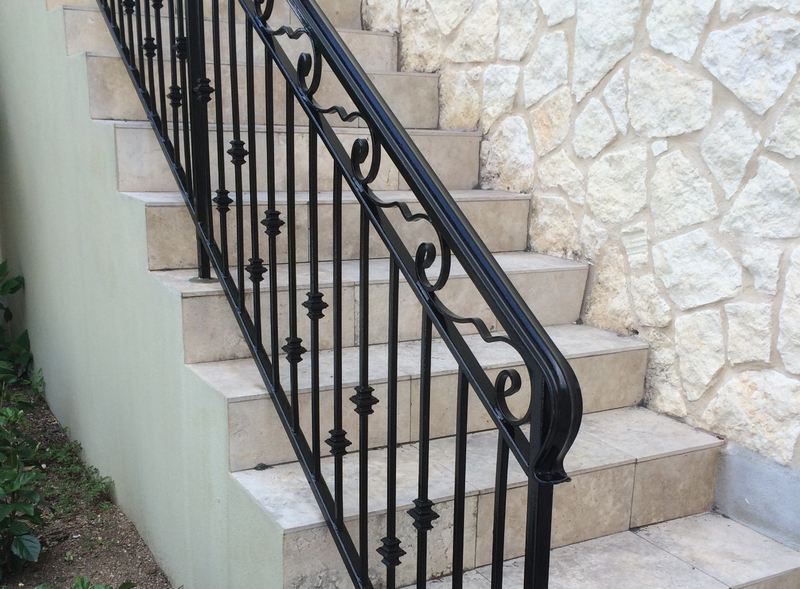 This is a sprayed-on or hand rolled system that limits overspray dramatically.